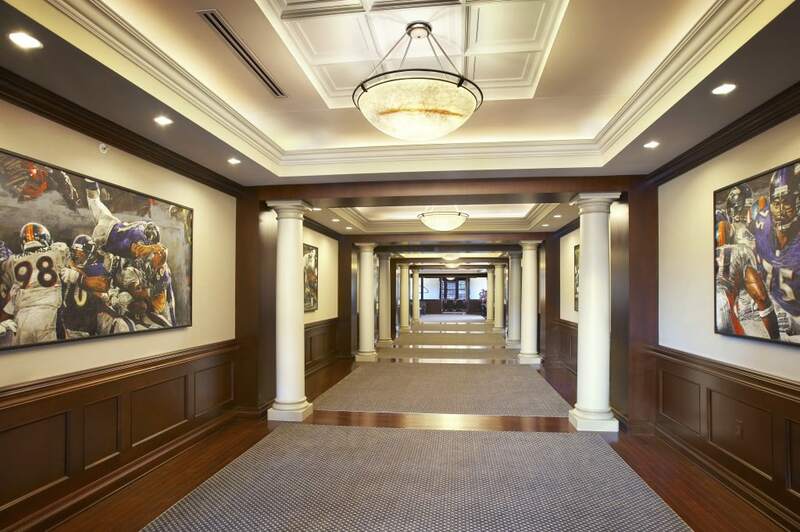 To attract the best talent in the NFL and make sure they felt comfortable in their new facility, the Baltimore Ravens ownership desired a new building that felt like a Country Club for their players and staff. The design team took that to mean classic design with traditional details that would give that “home away from home” feel. The new facility includes the corporate offices including a suite for the Ownership, state of the art training facility, and a full indoor practice field. 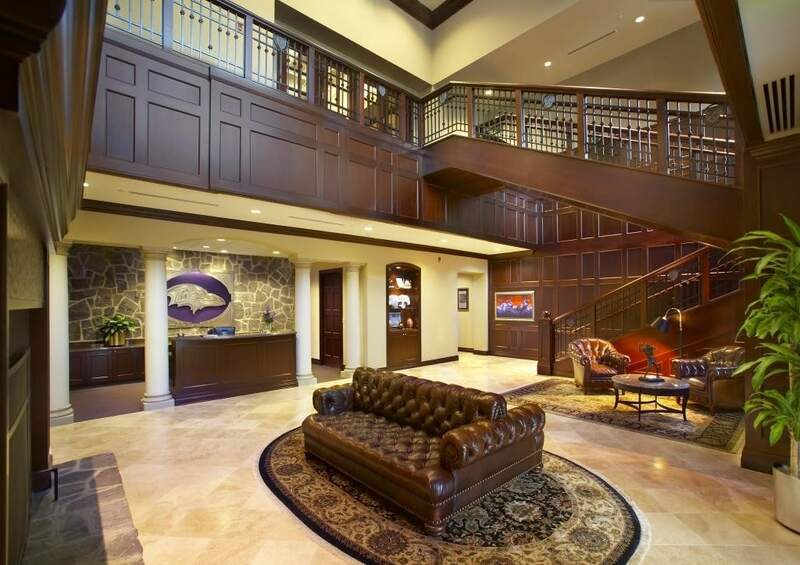 The grand entry lobby includes a two story stone fireplace with stacked stone and raised wood panel accents, custom cast medallions in the iron stair details and a warm rich elegance to reflect the history of the club. 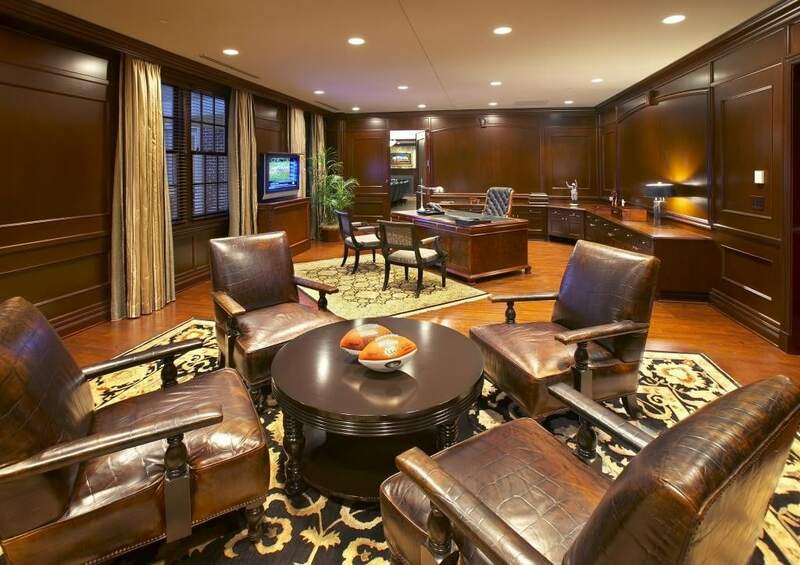 The interiors throughout blend that traditional elegance with more rugged finishes capable of withstanding NFL punishment.